Well over 100 cars are expected to sell for over a million dollar each at the annual Monterey classic car week auctions in mid-August 2015. Ferraris are likely to achieve the highest results but this year will also see a range of top Porsche and Jaguar racing cars, McLarens, Maseratis, Lamborghinis and Mercedes Benz cars on offer. 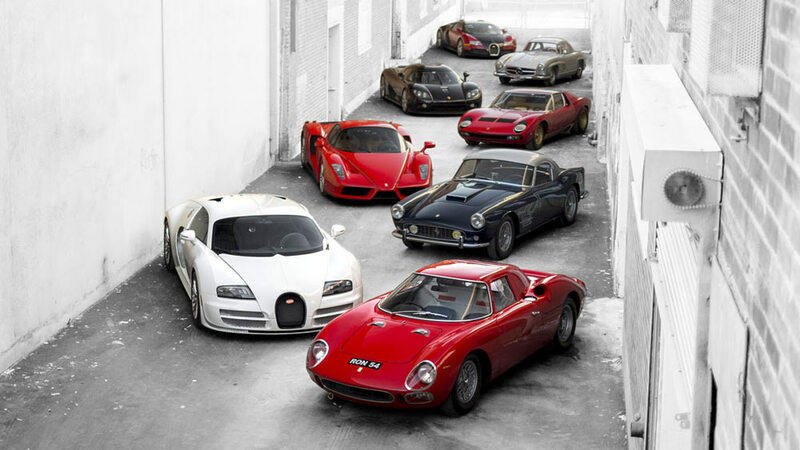 RM Auctions are likely to earn the most and sell the largest number of cars for over a million dollars followed by Gooding & Co and Bohams. Mecum and Russo and Steele also offer a few cars that may achieve more than a million dollars while Rick Cole is also again running a small online auction with a couple of very appealing cars. Ferraris are generally the most-expensive cars at classic car auctions and at the 2015 Monterey week classic car sales it is most likely that Ferraris will once again provide the top results. More than 40 Ferraris are expected to sell for more than a million dollar each with RM Sotheby’s alone offering 20, Gooding 12 and Bonhams 5. RM Sotheby’s sends its top three Ferraris into the Monterey 2015 auction without published estimates while Gooding has only one without an estimate. Gooding’s top published estimates are $16 – $18 million for a 1961 Ferrari 250 GT SWB California Spider and $14 – $16 million for a 1962 Ferrari 250 GT SWB Berlinetta Speciale. Not surprisingly, Bonhams will be unable to top the record $38 million achieved for a 1962 Ferrari 250 GTO last year. Bonhams top result is expected from a 1959 Ferrari 250 GTO Competizione Alloy Berlinetta. Surprisingly similar cars tend to turn up at the various auctions held at the same time. Mercedes Benz 300 SLs are almost a requirement for any top classic car auction these days but Porsches are also coming increasingly into play in the million-dollar league. As Porsche 911s and 959s are increasingly selling for more than a million, other owners seem interesting to test the market. The Porsche 959 is especially helped by the 25-year rule that now make it possible to drive this supercar in many parts of the USA.